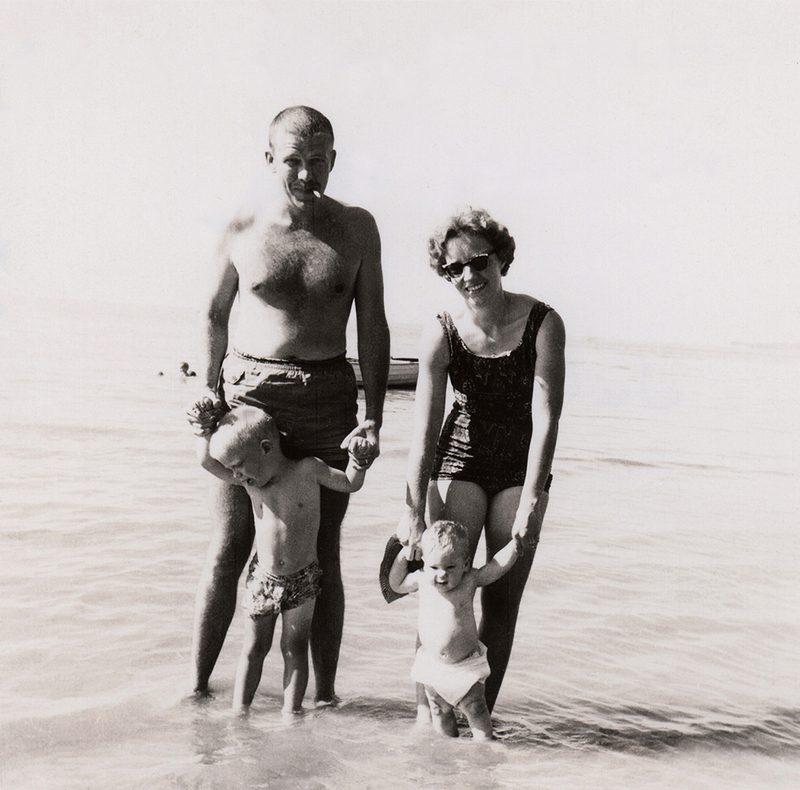 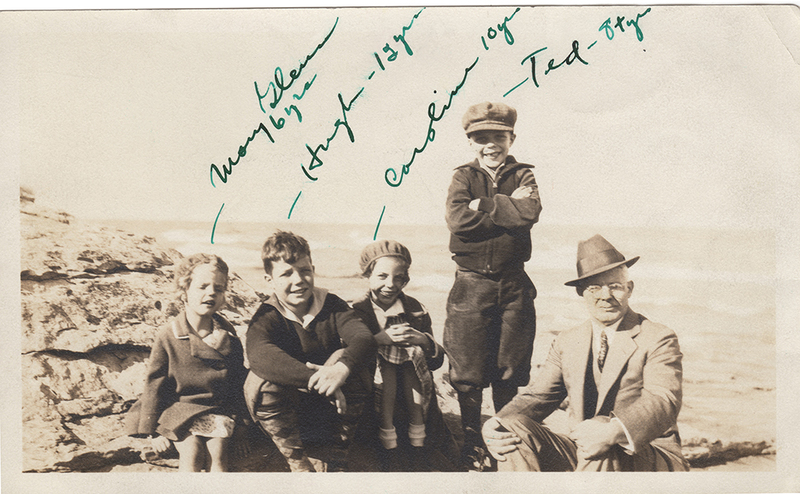 Dr. Reams and kids at the lake, 1937. 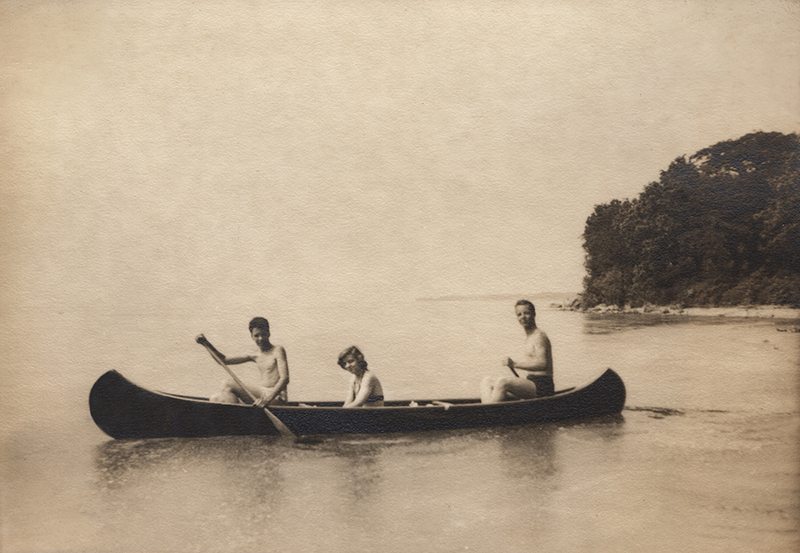 Canoe ride near Rock Ledge, 1945. 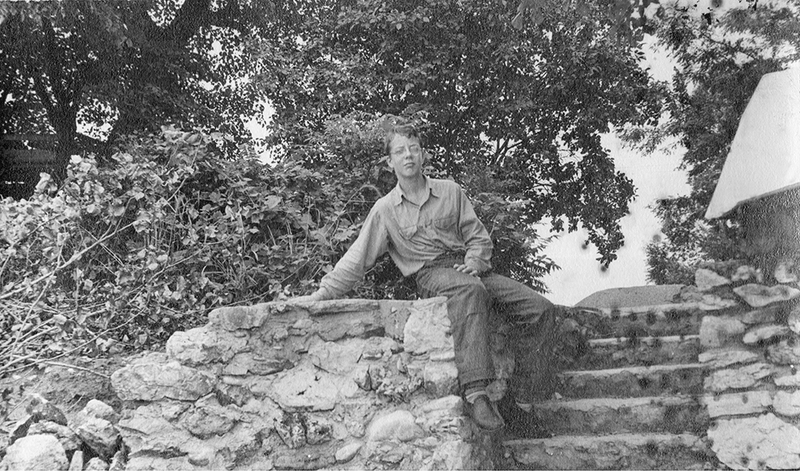 Ted Reams on seawall, 1941. 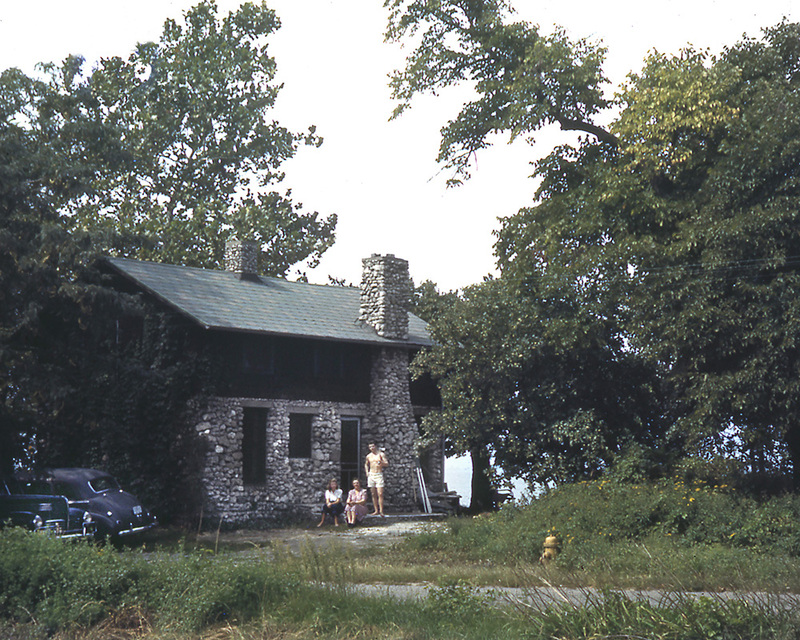 Cottage, Sand Road about 1942. 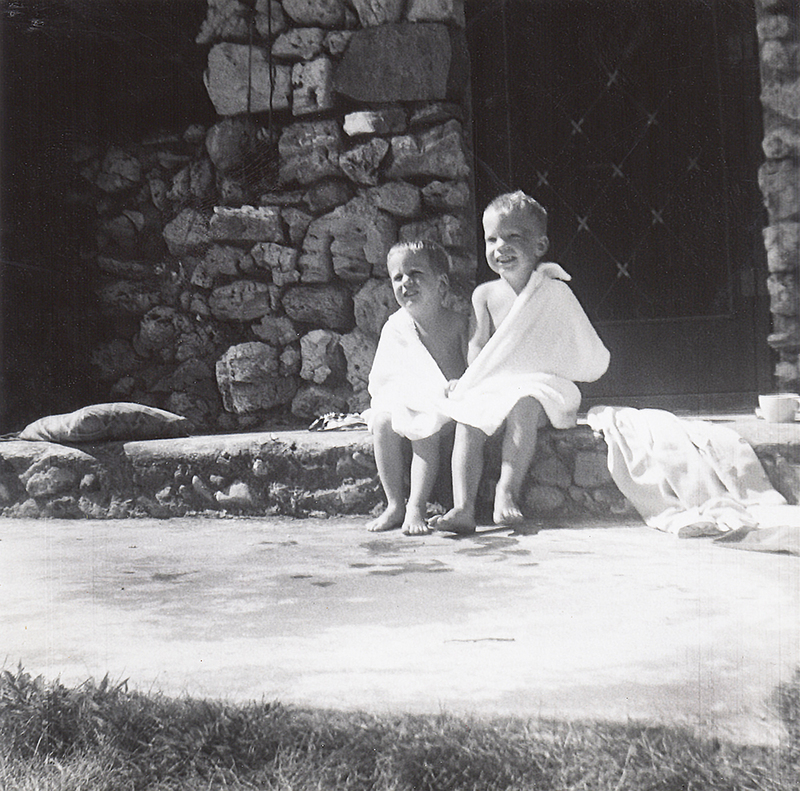 Caroline and Ted at Sand Road Cottage, about 1942. 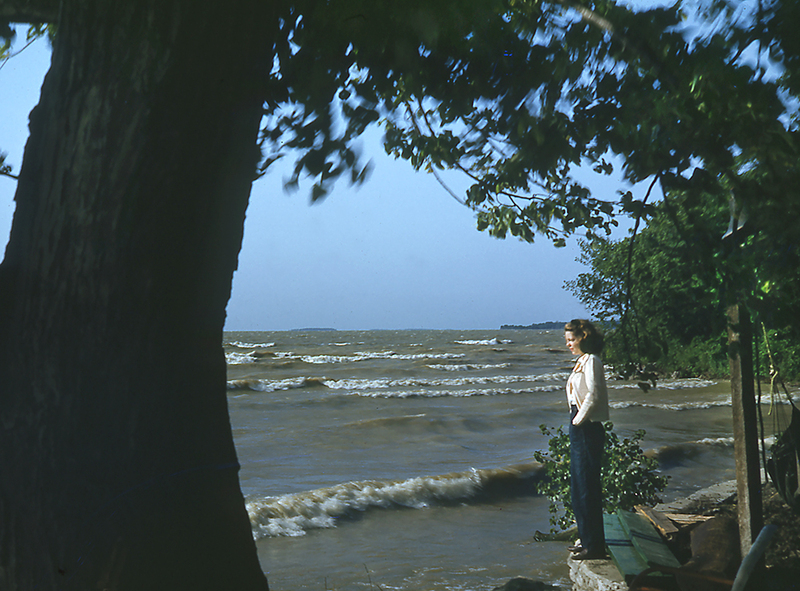 Caroline on Seawall at Cottage, 1942. 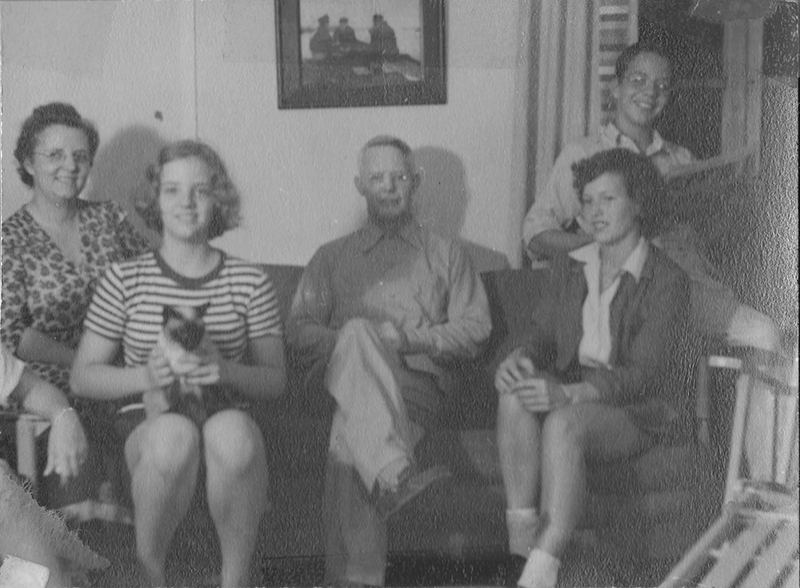 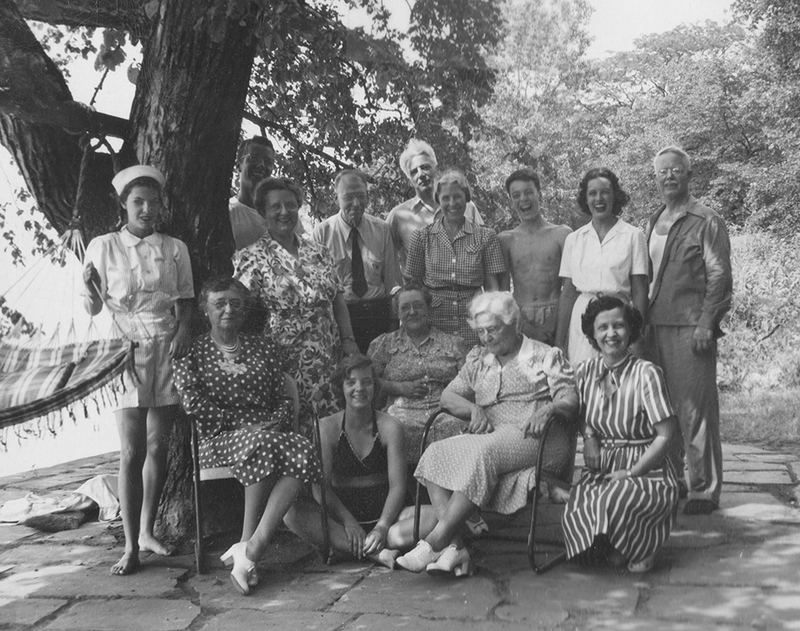 Reams family get-together at Sand Road cottage, 1945. 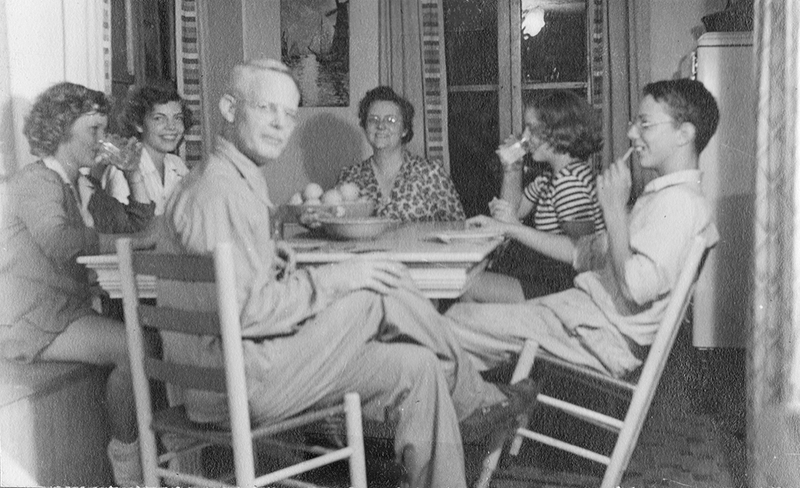 Cut ups at the dinner table. 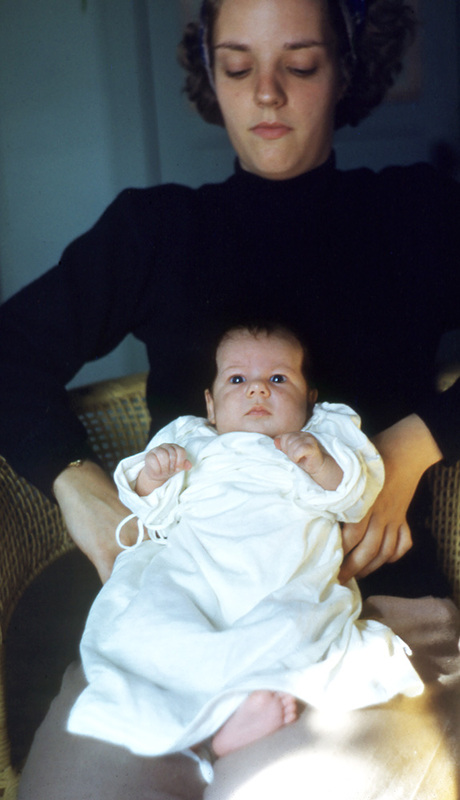 Mary Glenn and Peggy, 1950. 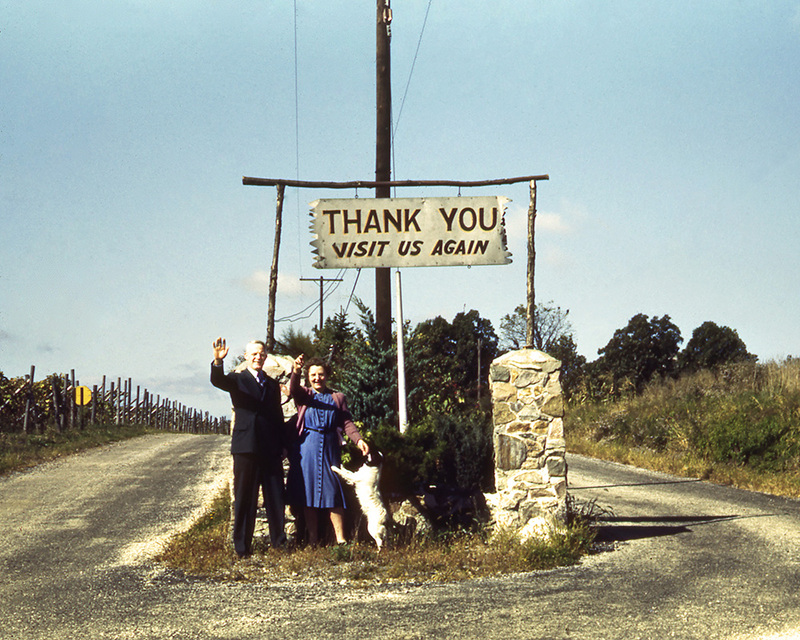 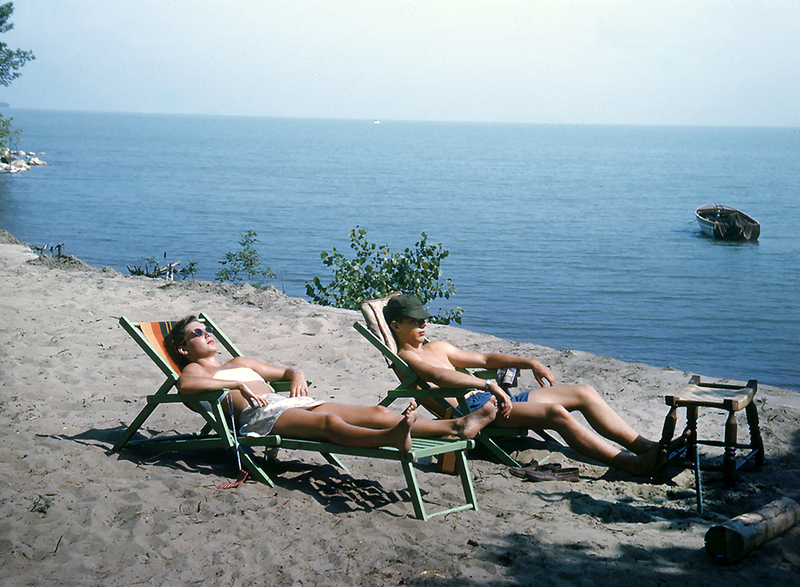 Bill Haskins and Mary Glenn Reams at Sand Road, 1952. 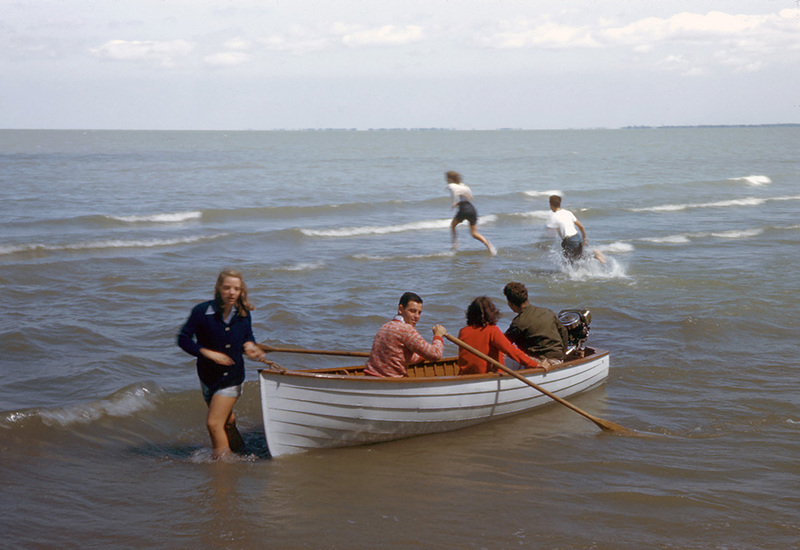 Bill, Mary Glenn, John and Ben Haskins in the lake, 1958. 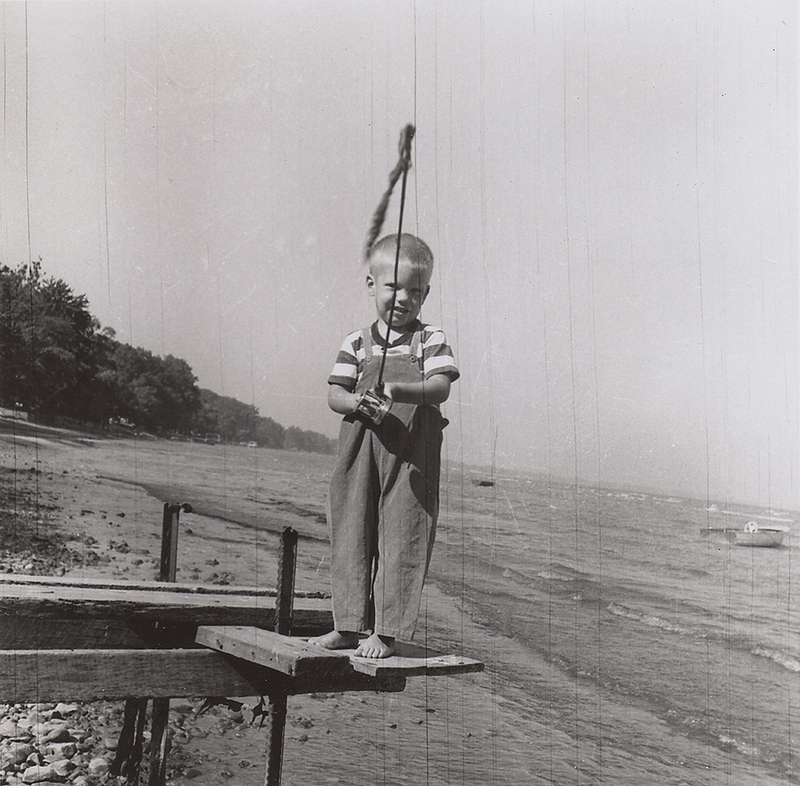 John on dock at Sand Road, 1959. 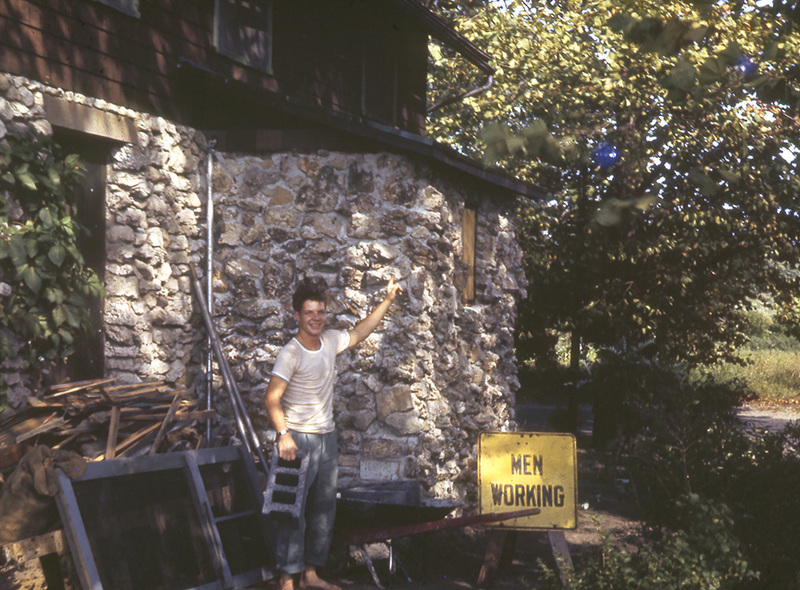 Donny Klotz with John Haskins at Sand Road, 1959. 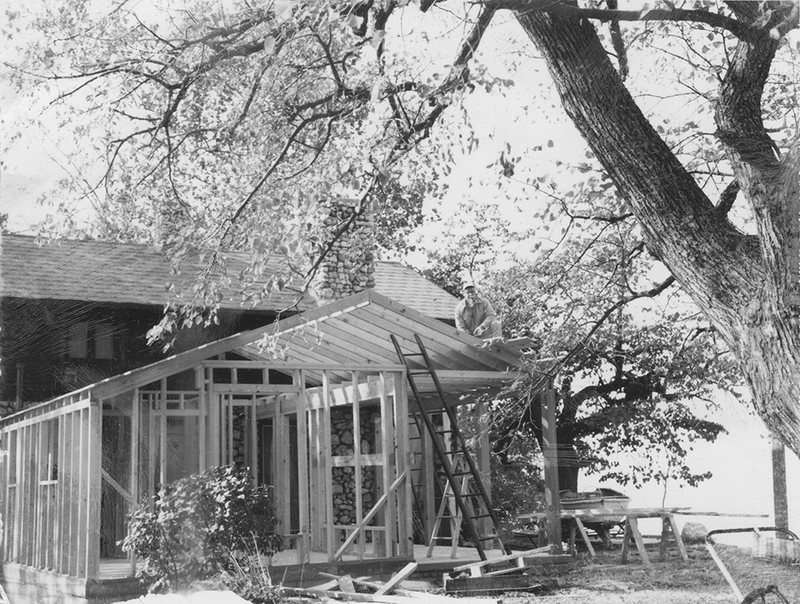 “New Room” under construction, 1965. 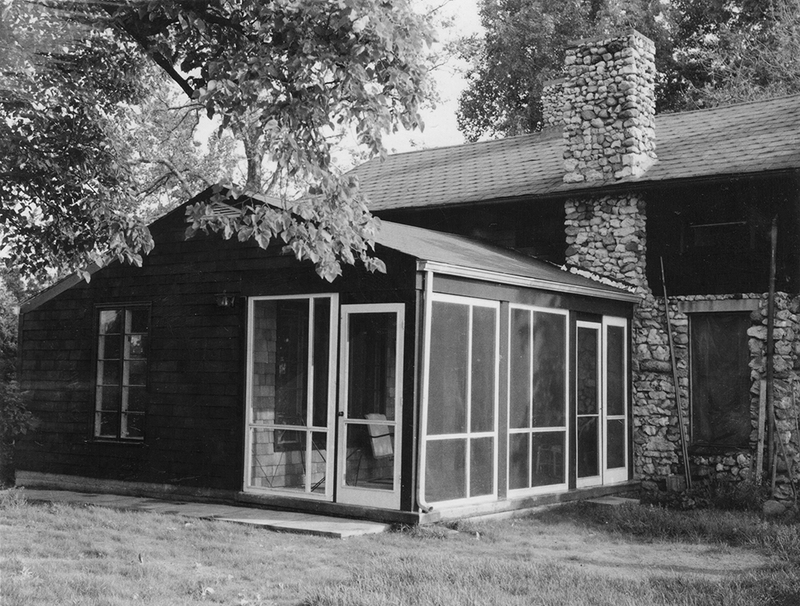 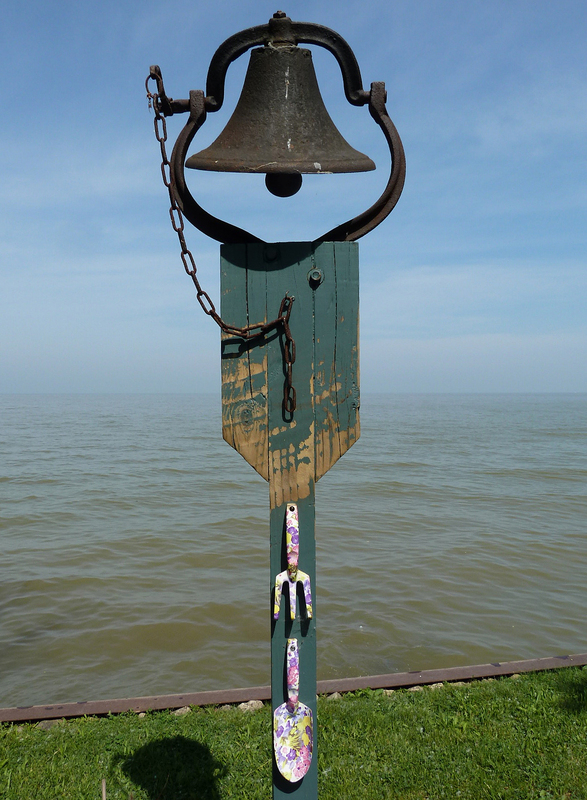 “New Room” at cottage completed, 1965. 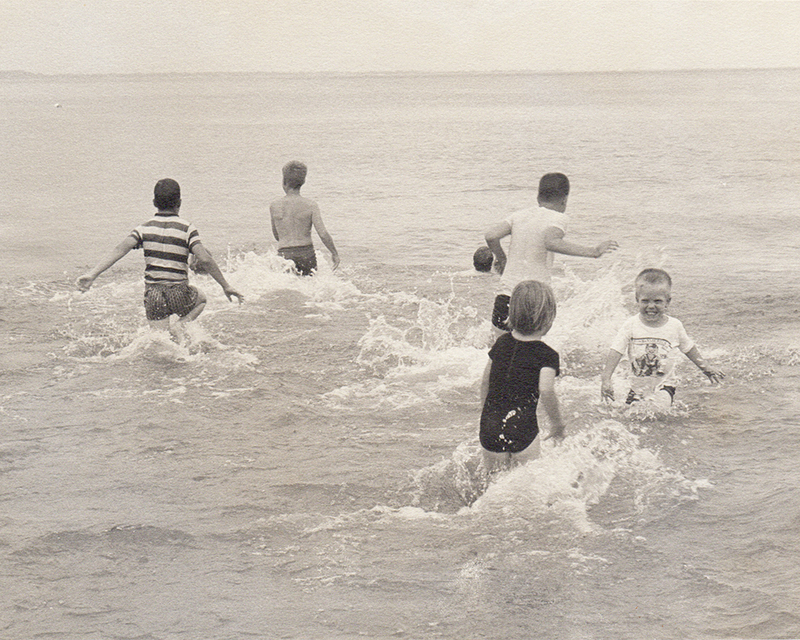 Haskins and Miller kids in the lake, 1965. 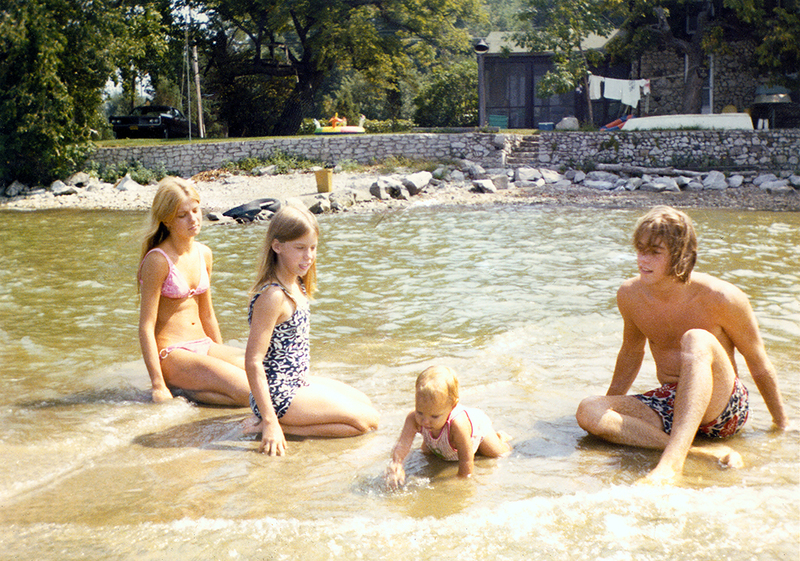 Dave, Jacqueline, Marcia and Ginny at the beach, 1971. 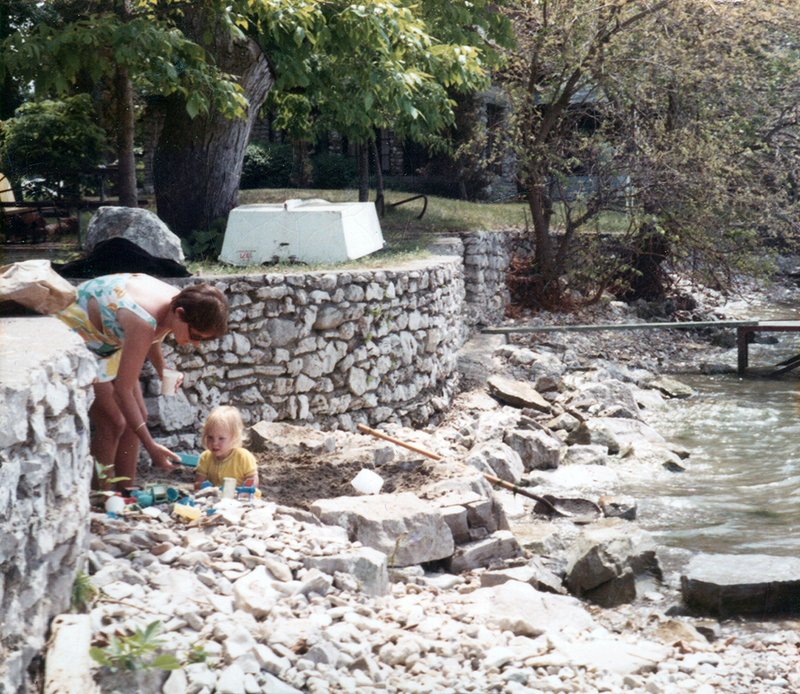 San and Ginny at cottage June 1972. 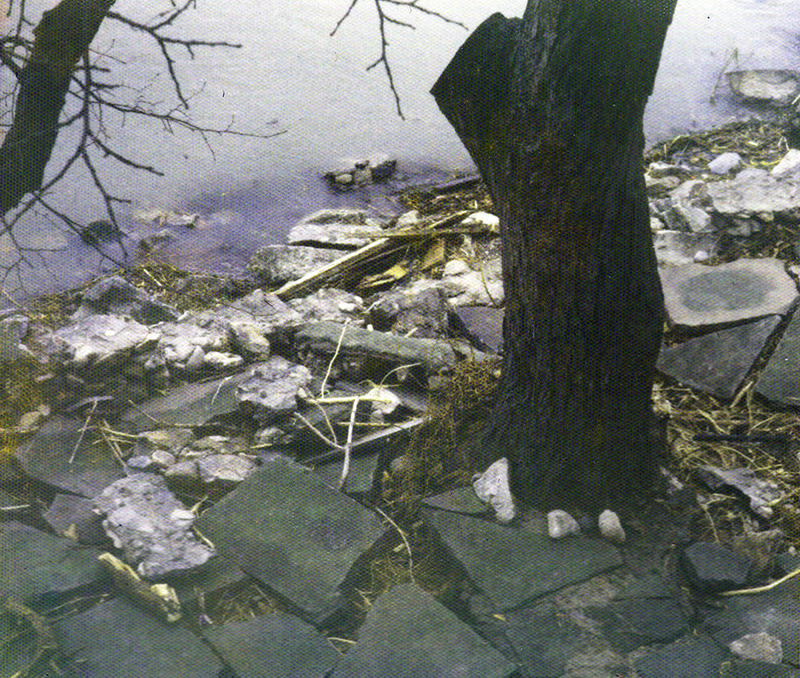 Stone seawall at cottage destroyed in storm, November 1972. 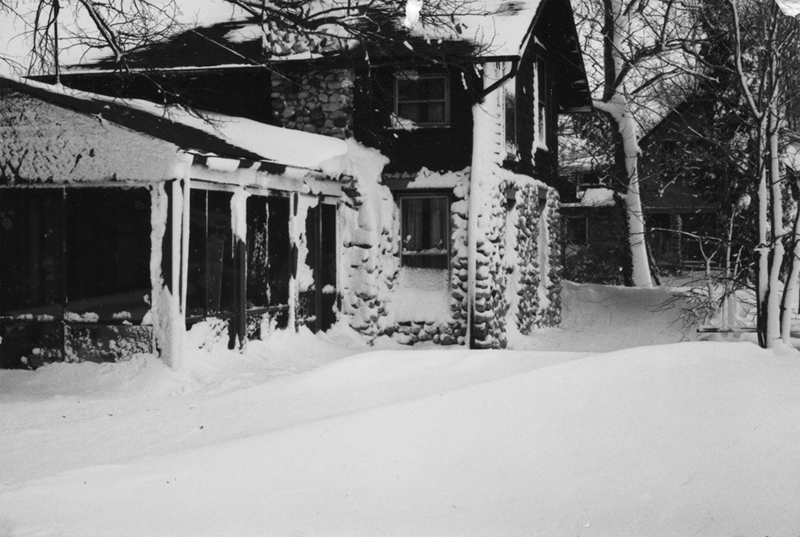 Snow storm at Cottage, 1985. 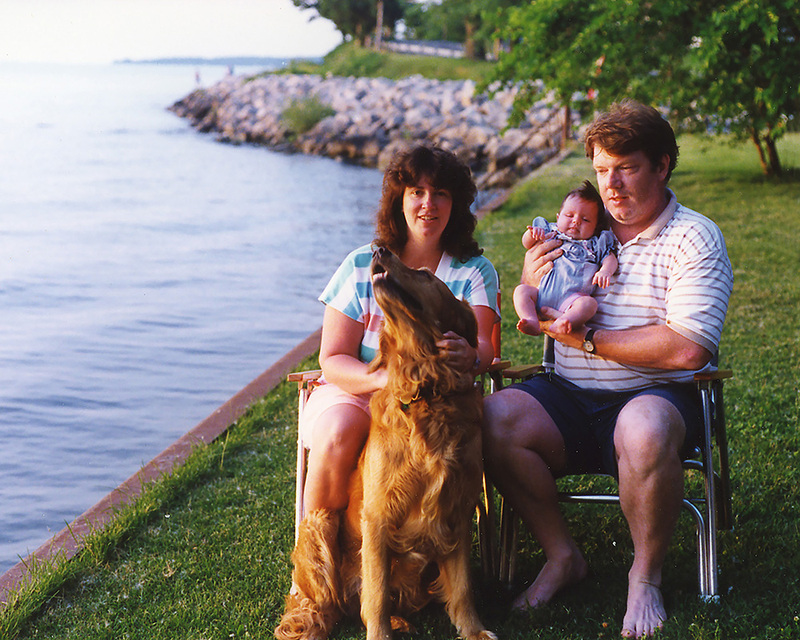 Annette, Catherine, John and Winston at Cottage, 1991. 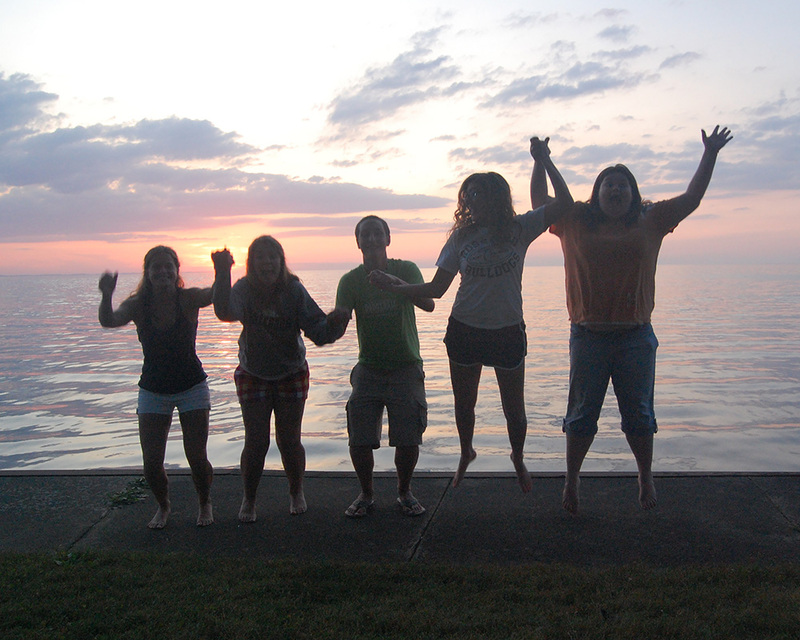 Catherine and friends at Cottage, 2009. 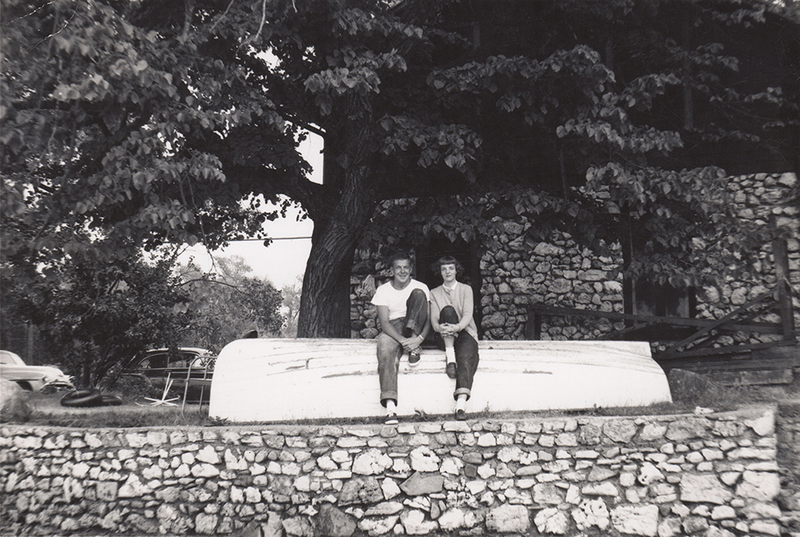 Dr. and Mrs. Reams at Mon Ami (I think). 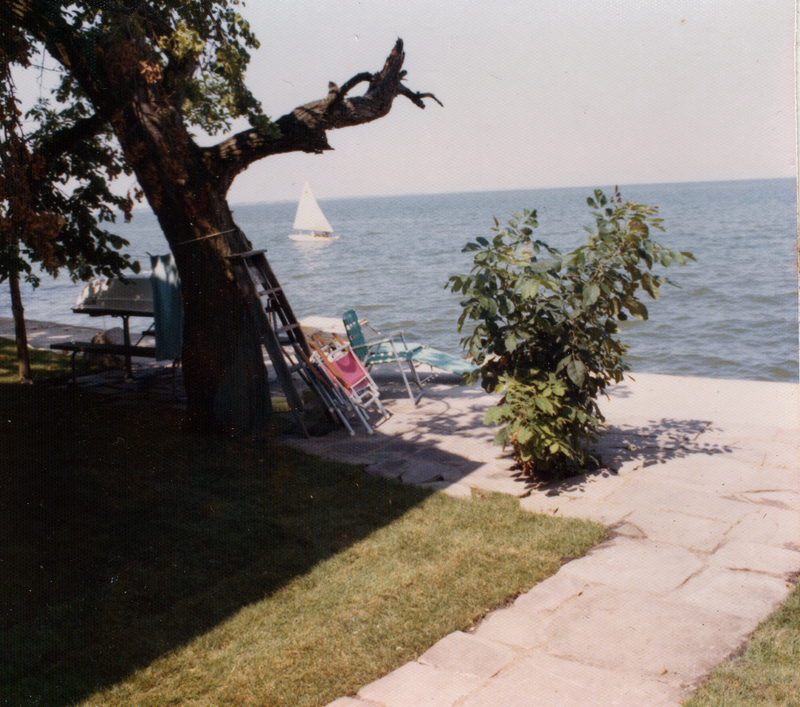 Here is a gallery of pages from the Cottage Ledger from the ’40s detailing the Cottage purchase and subsequent improvements.